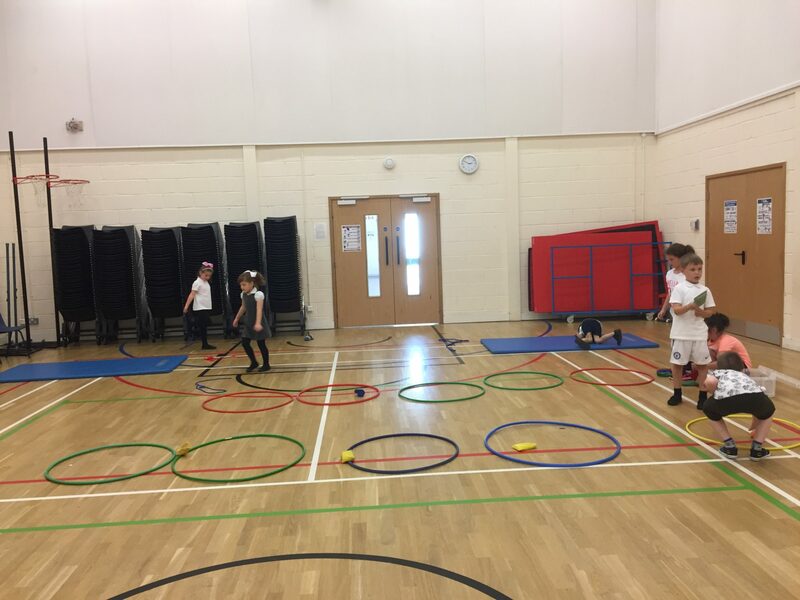 With being PE Teacher, I get the opportunity to teach all age ranges within the school. 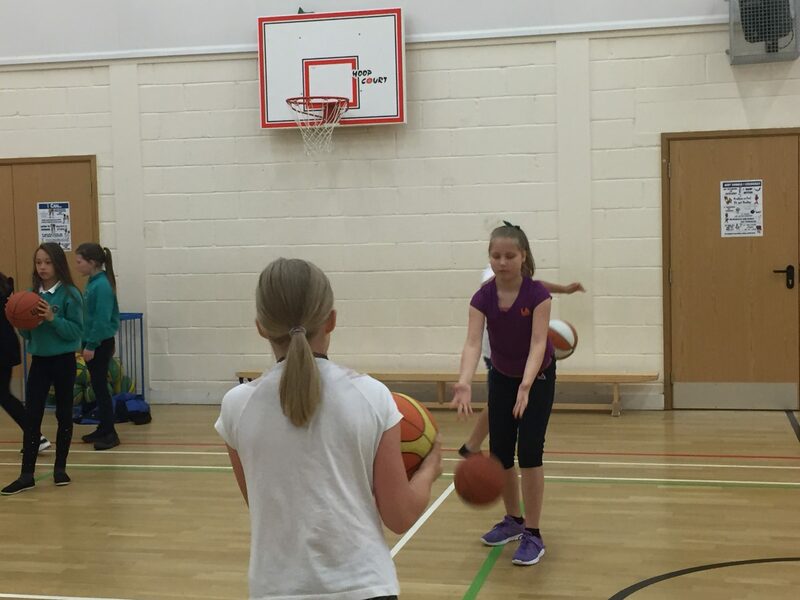 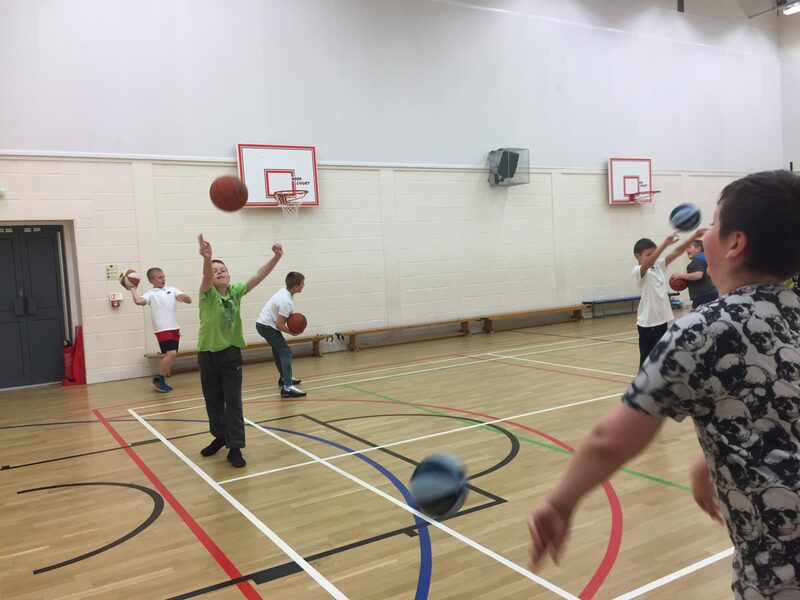 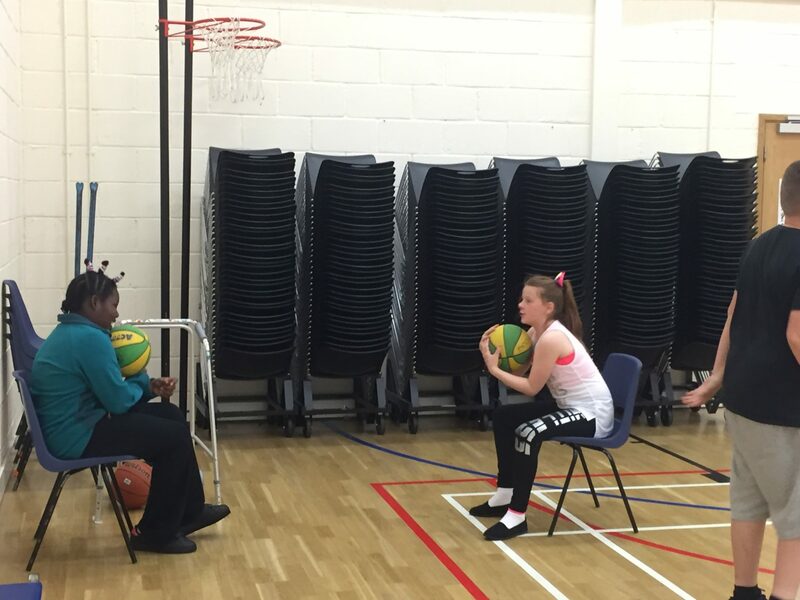 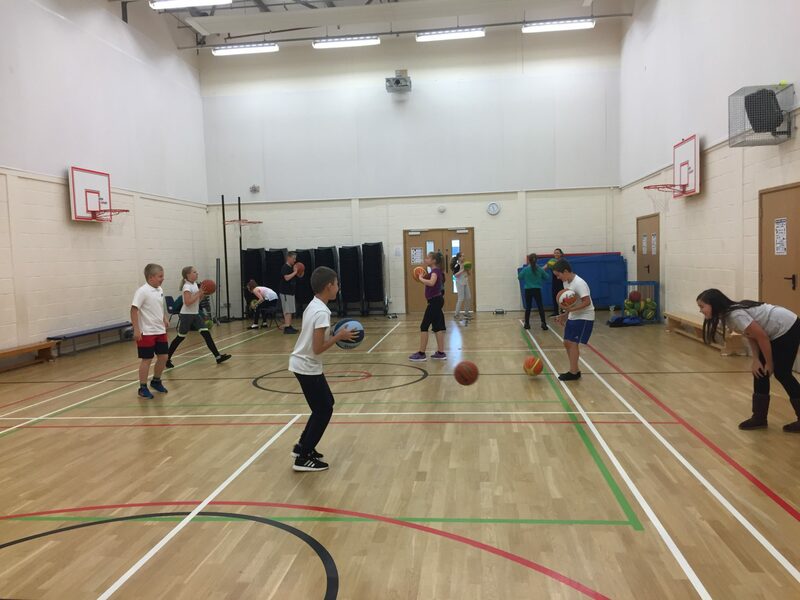 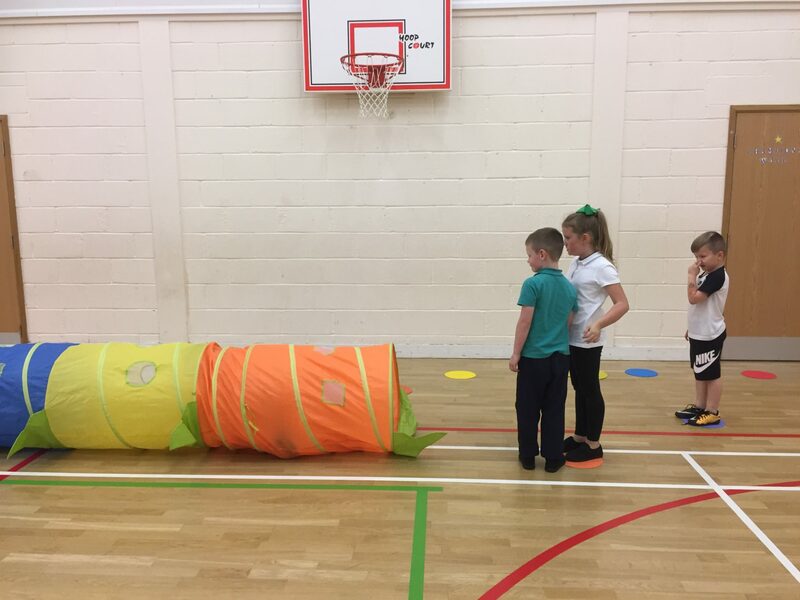 So far this term we have been focusing on P1-3 – Basic moves and games, P4-7 – Team games in Basketball. 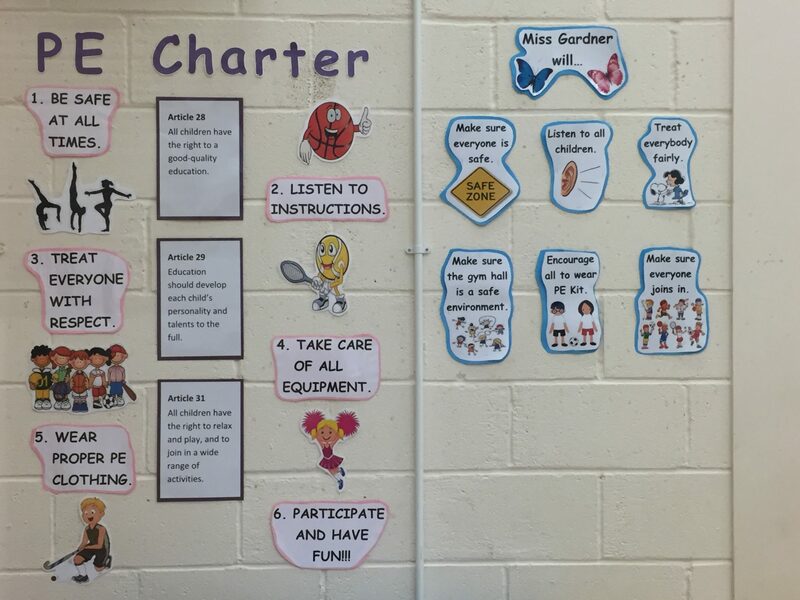 I will regularly update my page with examples of good practice in the gym hall of various stages. 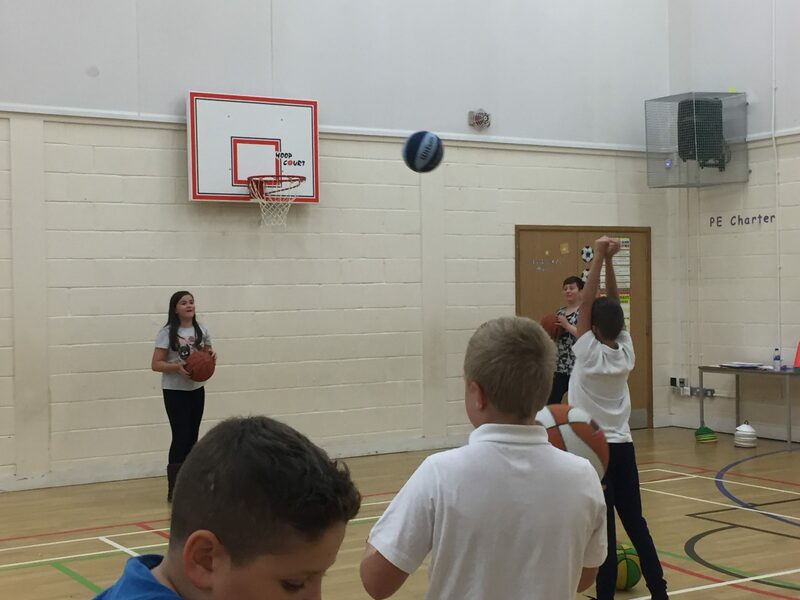 In P7, the children have been working on passing, dribbling and shooting skills. 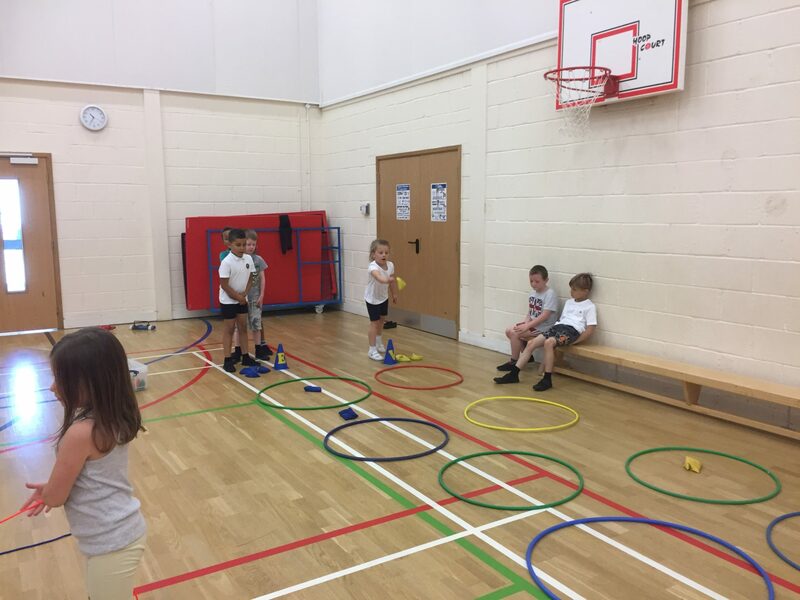 They have also been learning to work cooperatively with others in competitive situations. 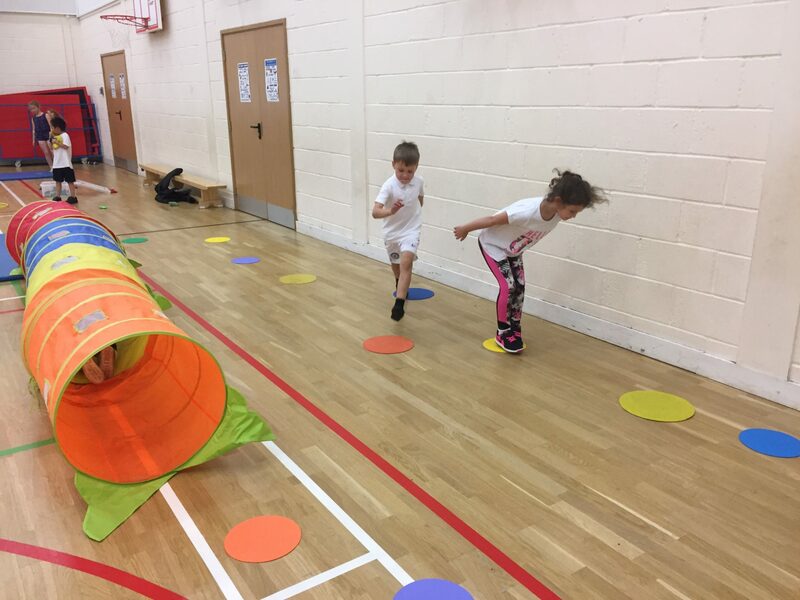 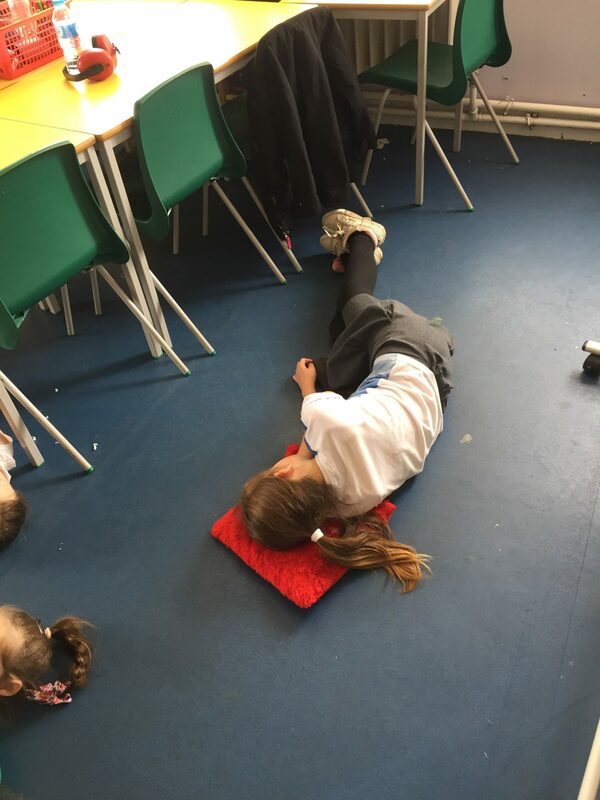 In P3, the children are learning to use their body in a variety of ways when moving and travelling. 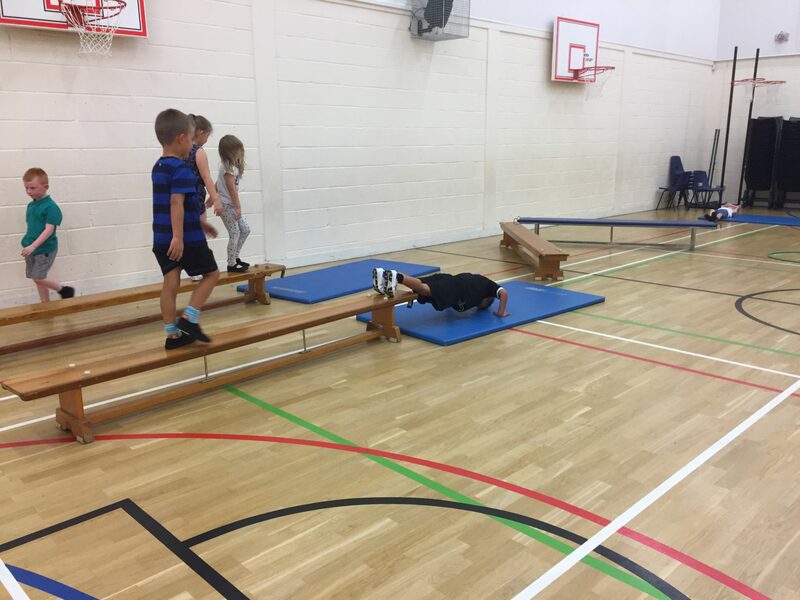 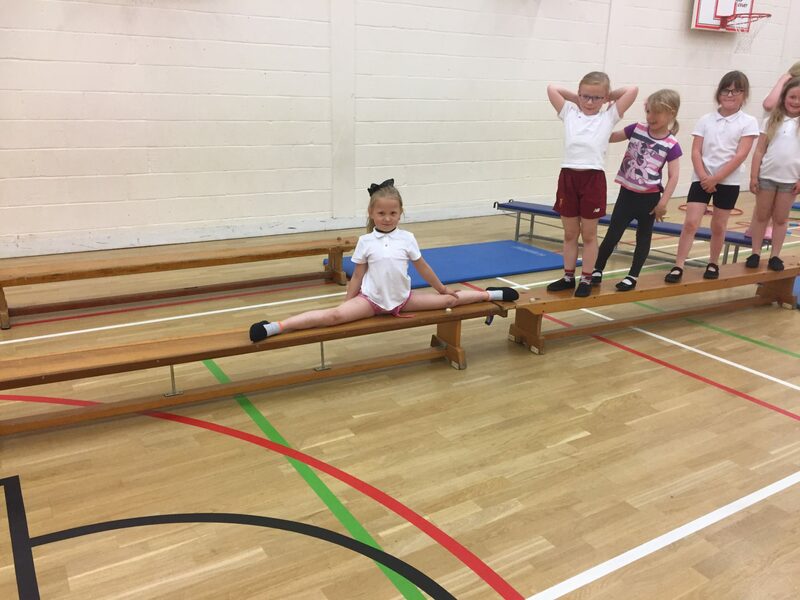 They get the opportunity to use a variety of equipment to help them gain confidence and improve their basic movement skills. 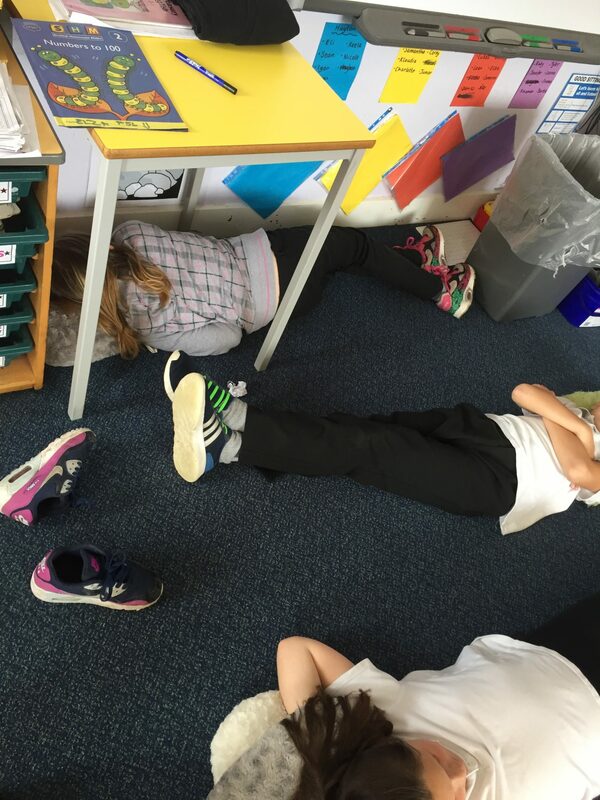 Here we are asleep in class!……. 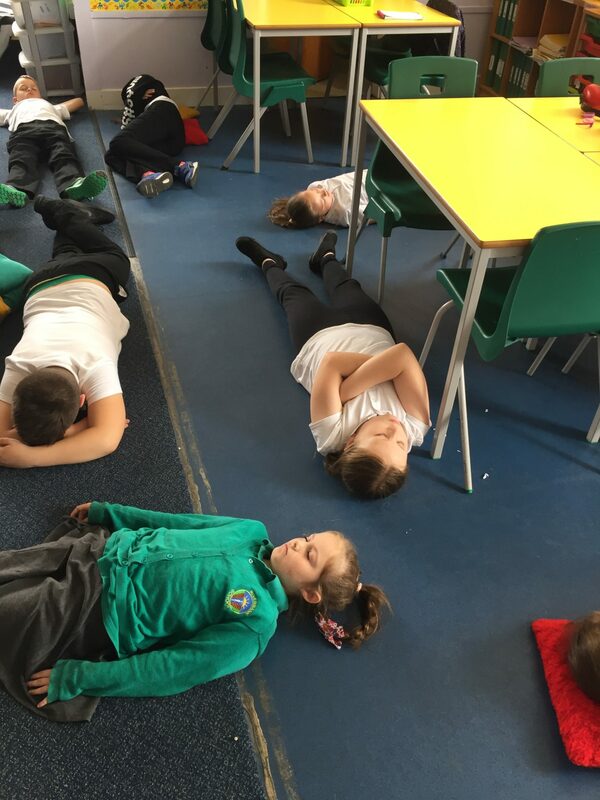 No we are actually having some guided meditation. 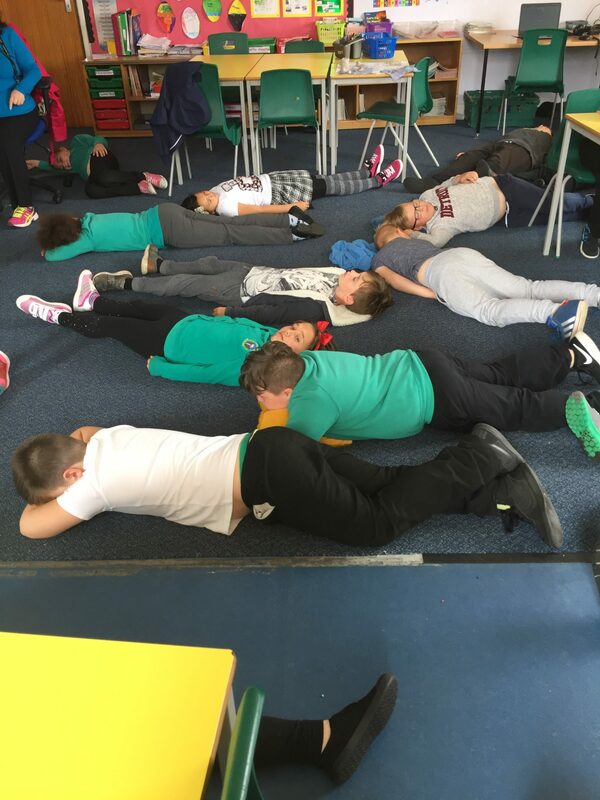 We are listening to instructions to help relieve us from stress and negative energy, whilst bringing a sense of calmness back to each of us. 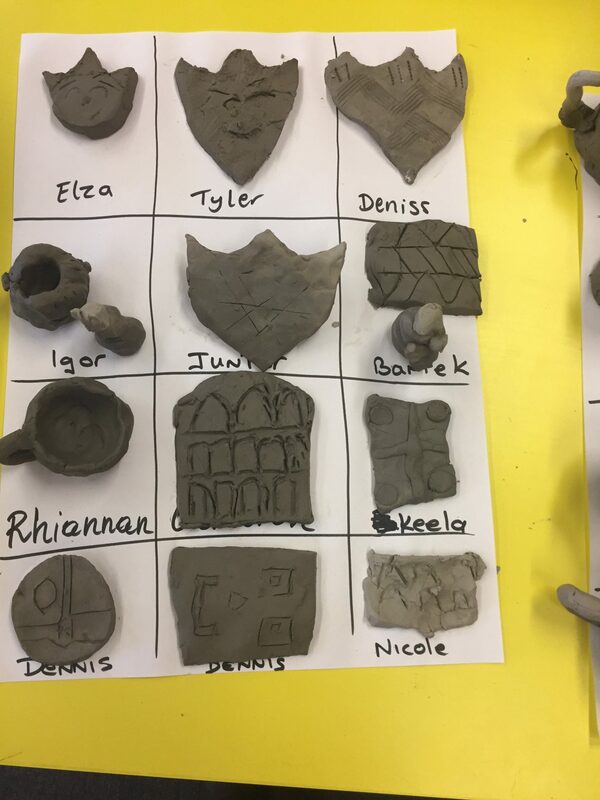 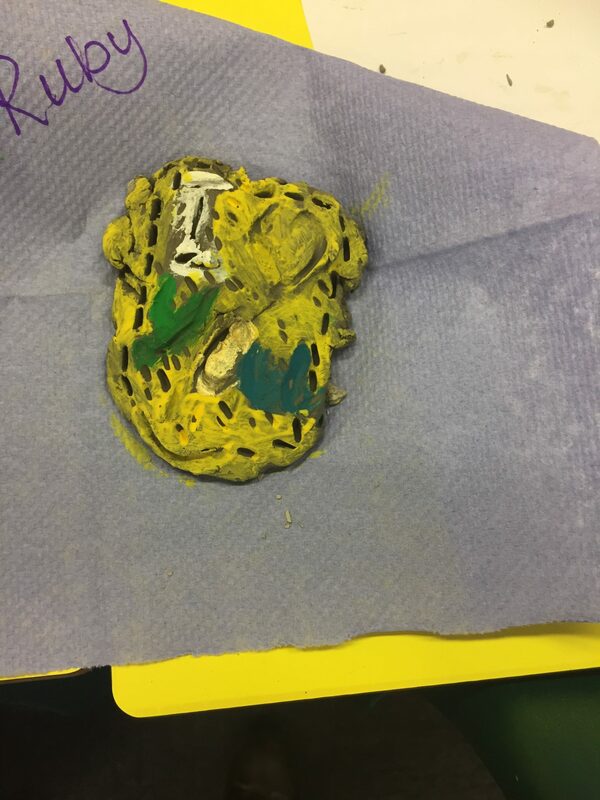 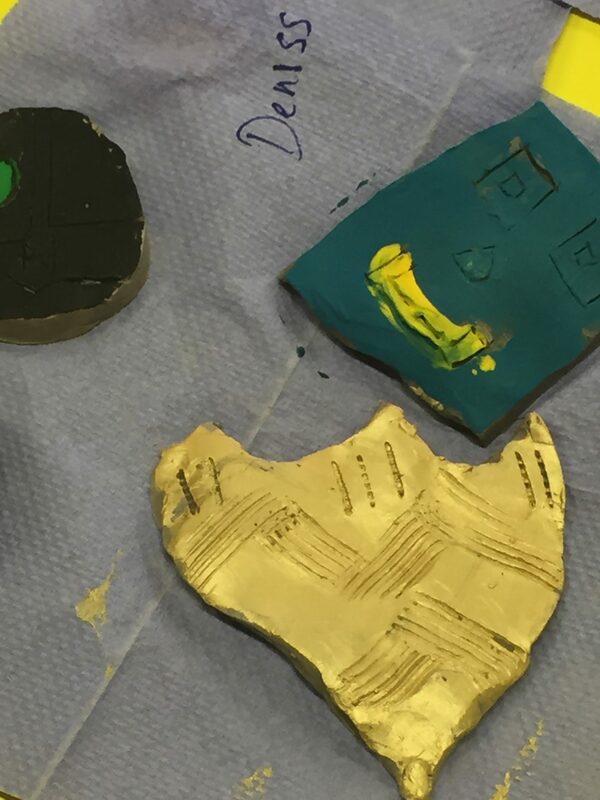 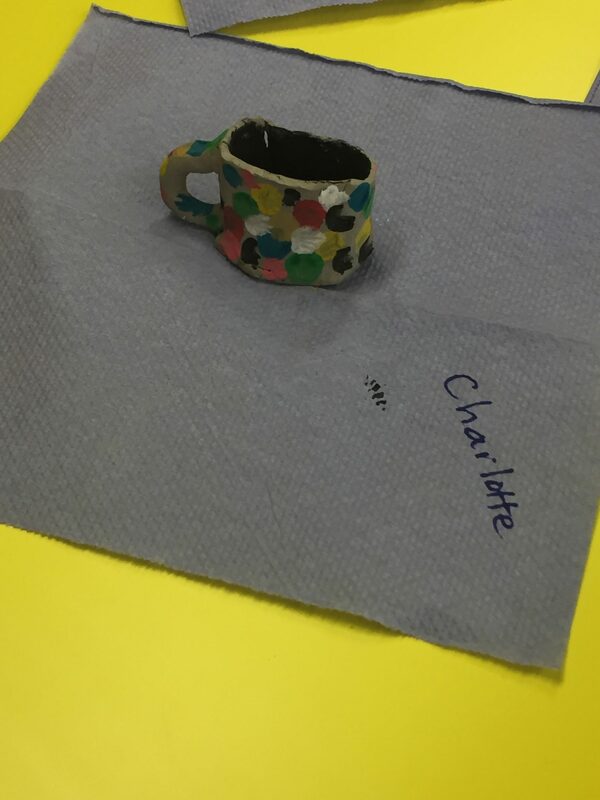 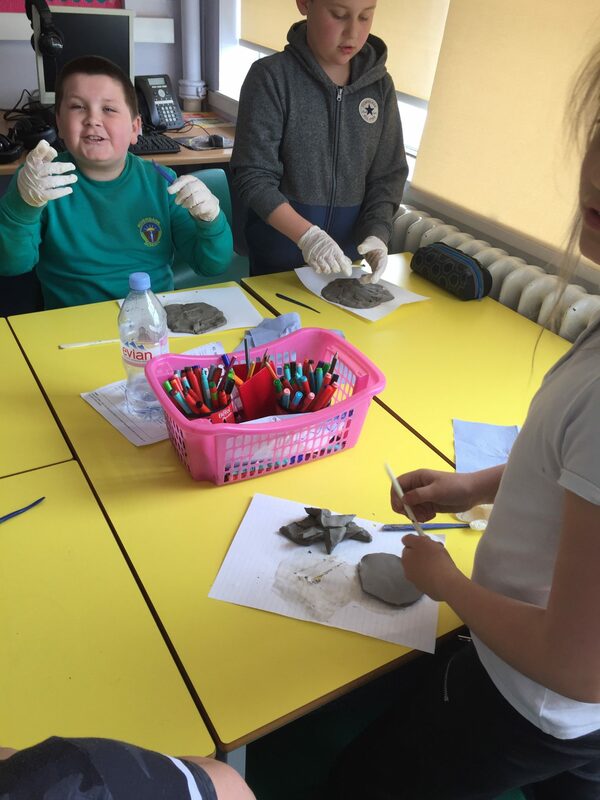 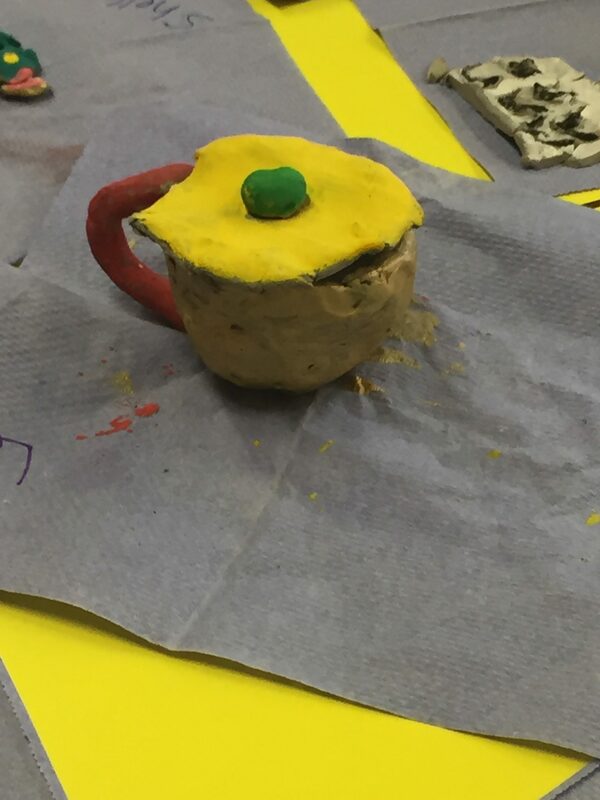 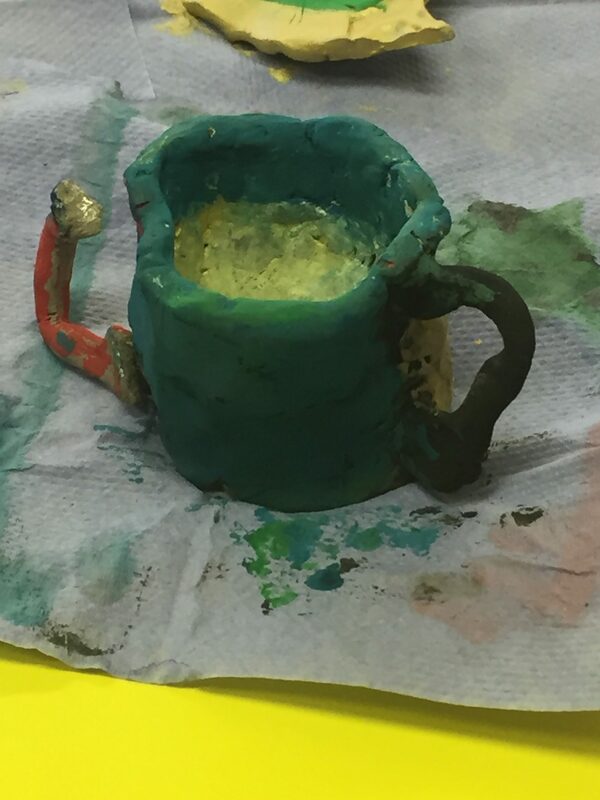 We used clay to make mini shields, amphitheaters and jars. 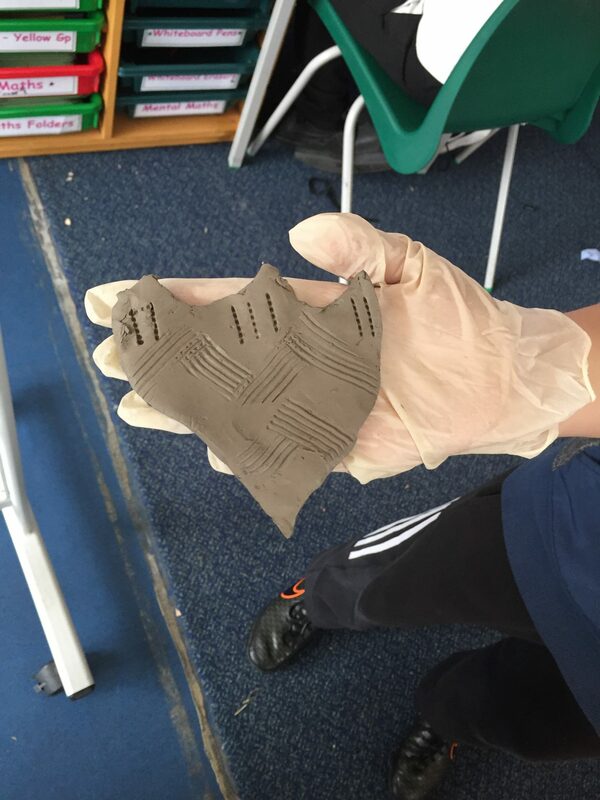 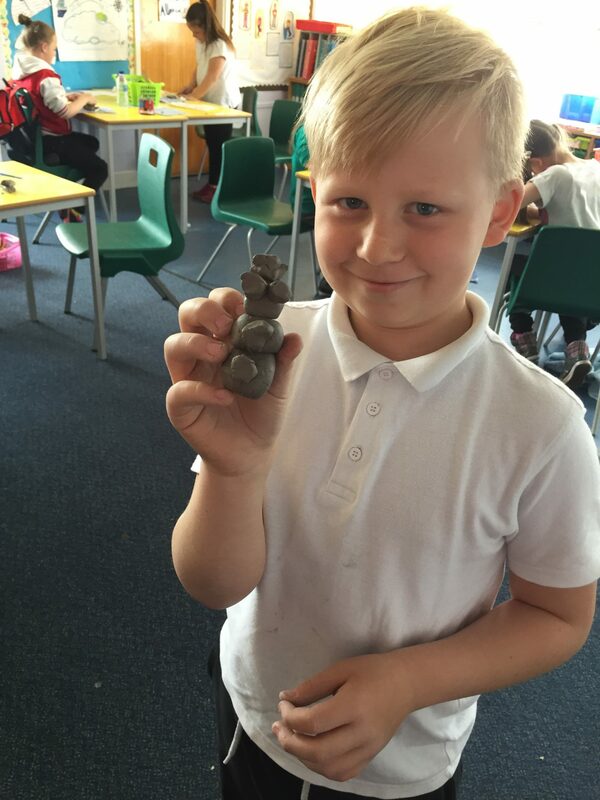 The class had fun using the tools to shape and mould their designs. 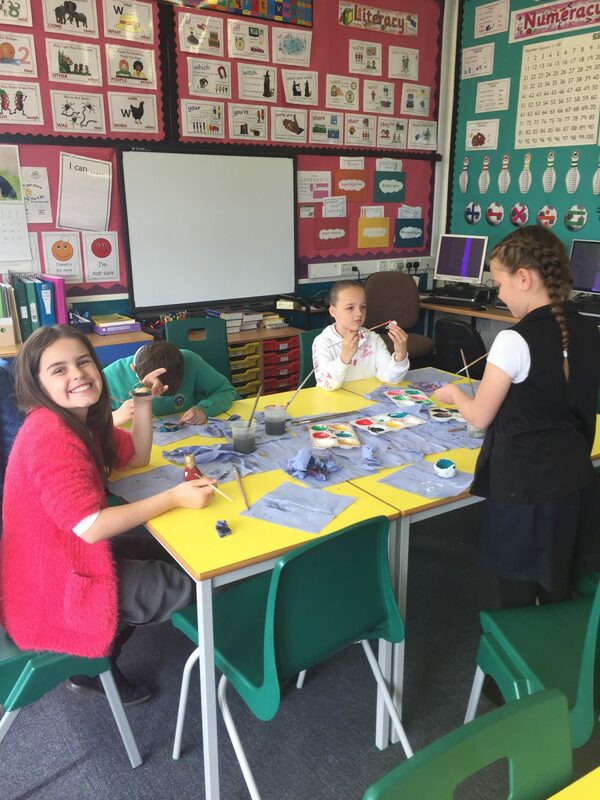 As a final touch, they then painted their models. 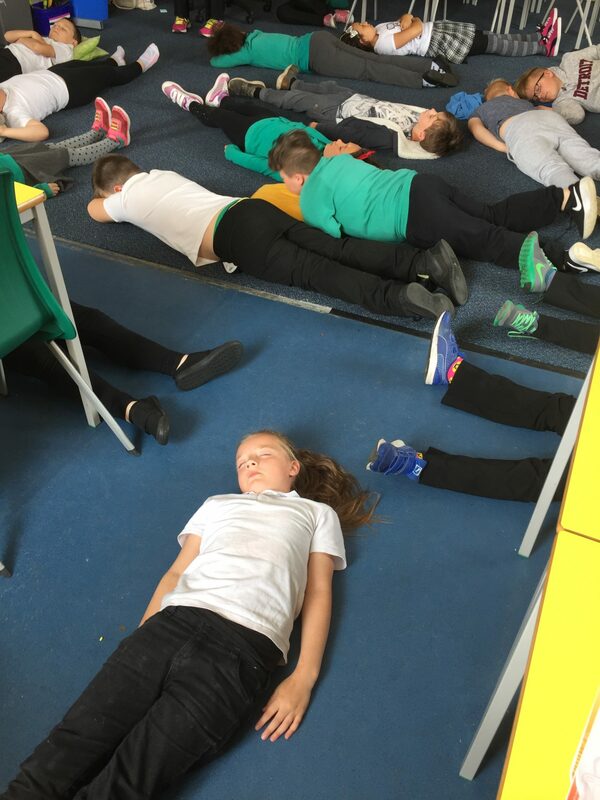 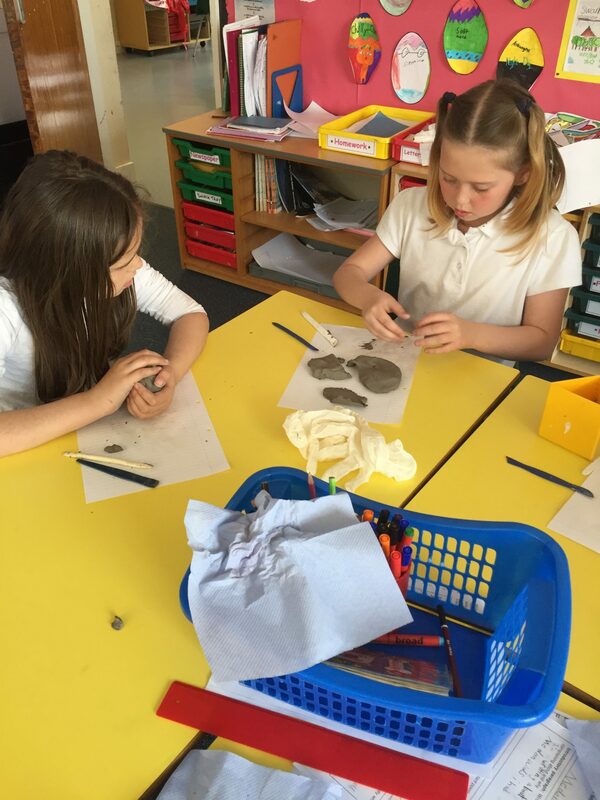 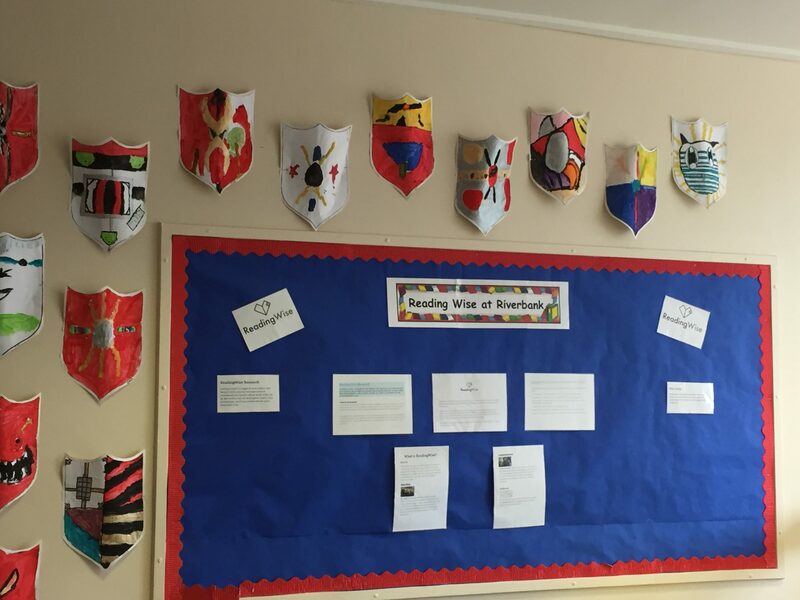 P5b have been learning about the Romans and what life was like in that era. 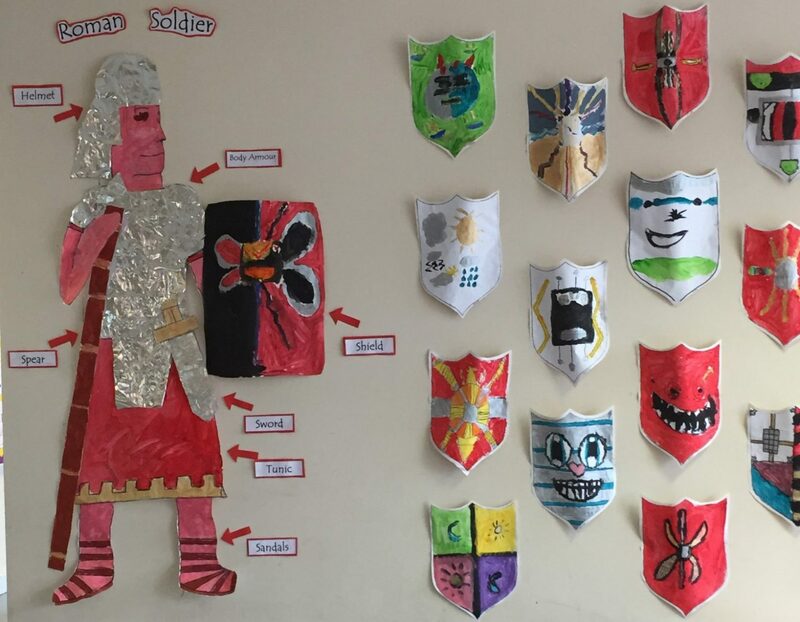 They specifically enjoyed making a life-sized soldier and shields. 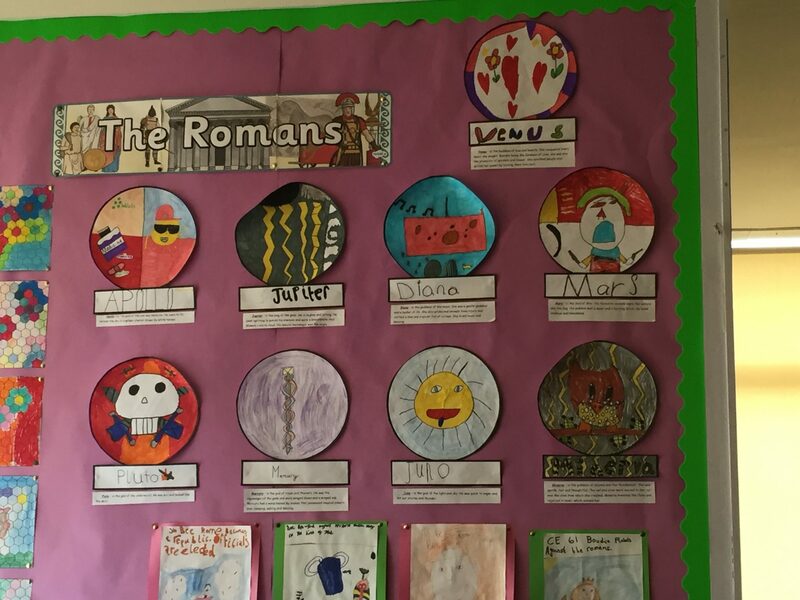 Learning about the Gods and Goddesses that the Romans prayed to was also of interest. 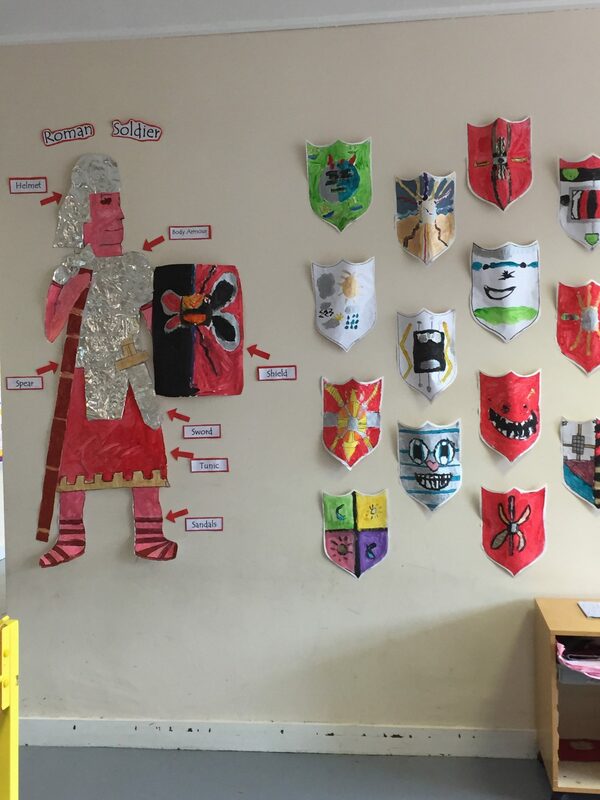 Have a look at our art work.